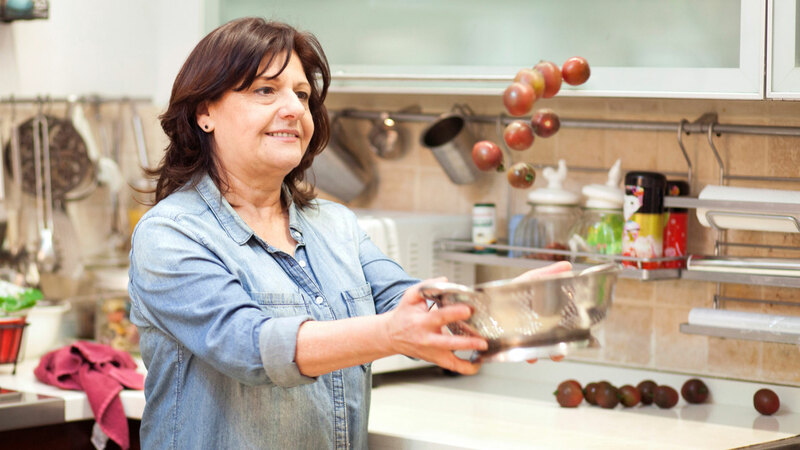 Sara Prezman, Tom’s Mum, has turned a passion for culinary tourism into her career. She has published several books on authentic, regional cuisine with recipes from people she has met on her travels. 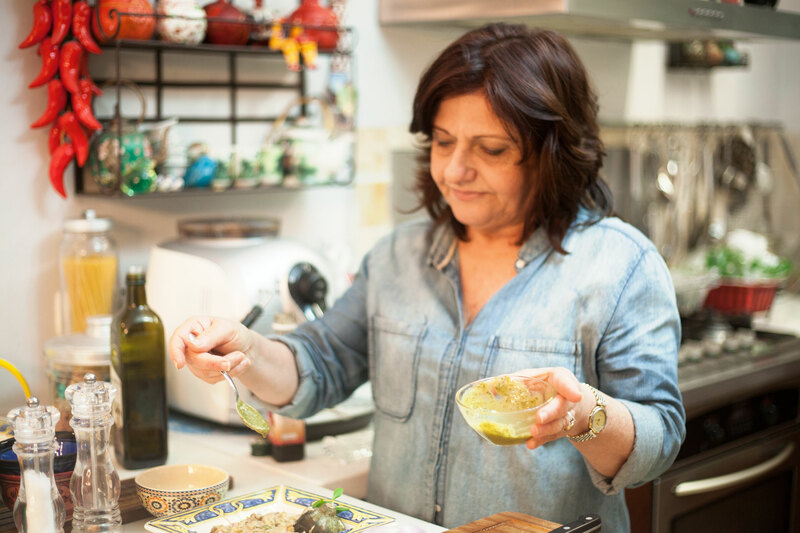 Her most recent book, The Arab Galilean Cuisine, will be published in English later this year and Sara is currently working on a culinary tour of Israel’s local markets. Foodadit spoke to Sara about how sharing local cuisine and cooking styles has empowered her. I have never taken any cooking classes or studied it formally, but after I got married, I started cooking for family and friends. I guess I taught myself using all the cook books I collected. I stick to the recipe instructions and I never improvise. My friends always laugh at me for that. Over the years I have discovered that cooking and hosting, aside from being a hobby, are the best therapy for busy and stressful periods in my life. Being the career woman I am, it means a lot of cooking and hosting. How did you become interested in food and tourism? I established my own research and marketing company and my first project was with the Tel Aviv Municipality. I worked with them for seven years building a centre filled with restaurants and cafés. Today it is one of the most successful food centres in Israel. These seven years were an introduction for me to Israeli cuisine and to the restaurant industry and that is how I connected food with tourism. What have you learned from culinary tourism? Exploring the food that different places have to offer – also known as culinary tourism – allows me to connect businesses and interact with local communities. I’ve seen that culinary tourism brings a number of benefits and allows many women and small entrepreneurs to develop a business using their cultural background. They can earn a living, build self-esteem and believe in themselves. I think I proved that during my many projects over and over again. Culinary tourism also contributes to the local economy and can have a huge positive effect on people’s lives. What is your favourite cuisine that you have discovered? I love almost every type of food, but Arab-Galilean cuisine is my favourite and I have published four books about it. There are two reasons why I like it so much. Firstly, it’s based on generations of cooking in Nazareth, the biggest Arab city in Israel, where I’ve spent most of my time over the last few years. 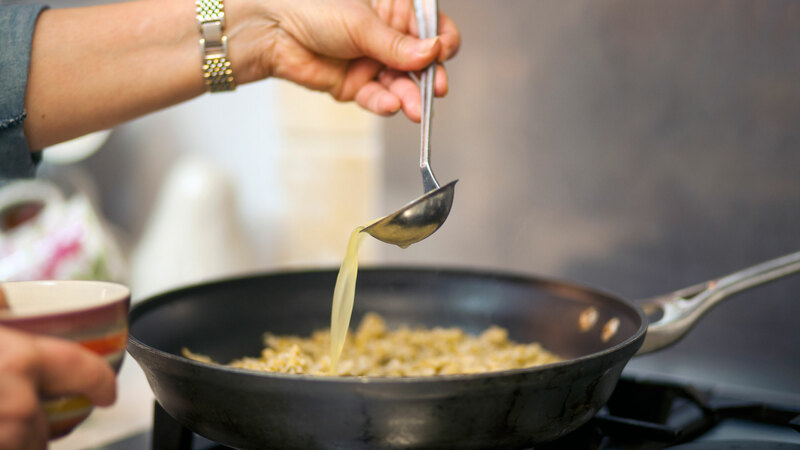 Some places still use cooking techniques that have been passed from one generation to the next and the food is truly authentic. Secondly, I love how healthy their cuisine is and that is highly emphasized in my latest book – The Arab-Galilean Cuisine, which comes out in English later this year. Arab-Galilean cuisine is based on locally grown vegetables, olive oil, wheat, beans, wild greens, almonds, walnuts and pine nuts. I try to incorporate fresh salads into my meals every day as part of a healthy diet, such as Tabbouleh Salad. Having said that, I try almost everything, even when I make Tom’s favourite dessert – the Nights of Beirut. How was it working with Tom on your latest cookbook? Before Tom moved to Berlin I asked him to work with me, but he was interested in photographing other areas at the time. With Foodadit, Tom found his way to food photography and he photographed several chefs in my latest book – The Arab-Galilean Cuisine. My next book in the series is a culinary tour round all of the markets in Israel and is out later this year. It will focus on healthy, easy recipes, based on seasonal, regional fruits in particular – and I hope we can continue to work together. 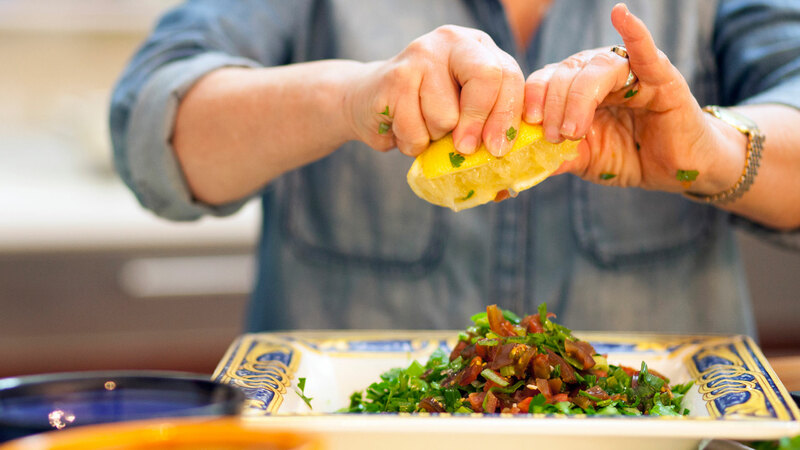 Try making a tabbouleh salad, it’s simple, authentic and delicious.